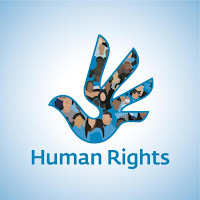 2 - However, human rights violations still occur around the world. 3 - The challenge for us all is to try to make a change and fulfill the promise of the UDHR. Hi, teacher. I found the video on the Universal Declaration of Human Rights very interesting. However, my favourites were the ones from UNICEF, especially the one with the six-year-old girl. Thank you for recommending us these videos! Hello teacher. I must say that the selection of videos was interesting. Firstly, considering the video about the UDHR, I can't deny that it was very informative, however, it was everything but appealing. The phrases went by too slowly or too fast and the music was extremely dull. Other than that, the movie trailers made their point regarding the violation of human rights. Furthermore, the exercises were helpful but when submiting the answers, the script gave some answers as incorrect even though they were the exact same as the sollution. These videos and exercises will surely help anyone. Thank you! Hi teacher! Thank you for the videos they were quite interesting and informing... especially because there's so much to say about this topic.I liked the video of UNICEF where people of 140 countries lend their voices for the children and sang John Lennon's music Imagine and i think this music has such a powerful message and all of us should live in harmony and peace. Hello teacher. The videos related to the violations of human rights are all so unbelievably realistic and concerning... 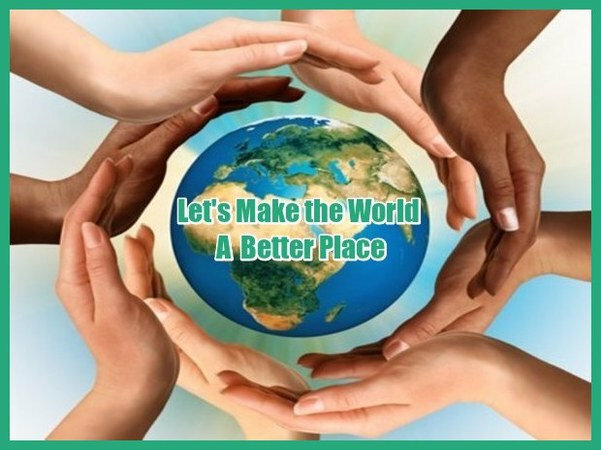 I think we all had a general idea on those subjects, but after watching the videos, it´s impossible not to get emocional and start acting racional towards what´s happening in our world, I mean, with our humanity. It´s shocking how, for example, 50 million kids are refugees or migrants and are living in such terrible conditions with awful education... Where are the rights of all of these people? I think it´s essential that we start looking for solutions because if we keep ignoring this topic, we, as a whole , might suffer severe consequences even on a short-term basis. Thank you for sharing there videos! Hi teacher! Thank you so much for the videos! They really are eye-openers! It's very concerning knowing that still today children don't all get to have the same rights, it actually made me sad. I had already seen the one about the social experiments with Anano and both the songs!! Actually "Heal the World" has always been one of my favorite songs,it never fails to amaze me and i can´t help feeling emotional and guilty as a human being whenever i hear it, it carries such a powerful message!! Hi teacher! I really enjoyed watching all of the videos. I think that in rich countries most of the people don´t even think about this issues because we are living a very good life when compared to millions of children who don´t even have the basic rights of freedom and safety. It´s really heartbreaking to see that so many children are abused everyday.It´s important to start sharing the message of these videos so that it can reach worldwide governments and international leaders in order for them to start caring more about this problem. Hey teacher! The videos were so much interesting and got me more fascinated about the UDHR topic. Thank you. Hi teacher! The video about children who are ignored,was very interesting but at the same time painful to watch , because no one,especially children, should be ignored and judged by their appearance! We must recognize that we are all equal! Thanks! Hey teacher!I really enjoyed watching all of videos, especially the video of UNICEF. With videos, I got more interesting about humans rights and puts me more attentive about the situation that we live. Thanks! Hello teacher. I have found the exercises very useful as they were aiming to practice for the test. However, some of the exercises were rather hard, much different from the ones we did in class. Excellent to exercise these grey cells, let´s hope for the best. Hello teacher! The videos you posted were very interesting, especially the one about child soldiers which was one of my favorites. The unbelievable situations that the videos showed made me realise that, most of the times, we take our rights for granted. Therefore, it is extremely important that we become active in the fight against these violations. Also, the grammar exercises were very helpful. Hello teacher! I thought these videos were very insteresting as they showed me a reality that we are not used to seeing in front of our eyes, even though its existence is something we are all aware of. An image really is worth a thousand words. interesting film. The exercises were rather hard, however helpful for our next test. Hi teacher!I really appreciated everything you post here in your blog. Those videos are very interesting, and the exercises about grammar helped me a lot in some questions that I had.